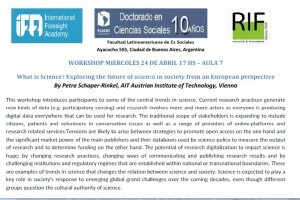 This workshop introduces participants to some of the central trends in science. Current research practices generate new kinds of data (e.g. participatory sensing) and research involves more and more actors as everyone is producing digital data everywhere that can be used for research. The traditional scope of stakeholders is expanding to include citizens, patients and volunteers in conservation issues as well as a range of providers of online-platforms and research related services.Tensions are likely to arise between strategies to promote open access on the one hand and the significant market power of the main publishers and their databases used by science policy to measure the output of research and to determine funding on the other hand. The potential of research digitalization to impact science is huge; by changing research practices, changing ways of communicating and publishing research results and by challenging institutions and regulatory regimes that are established within national or transnational boundaries. 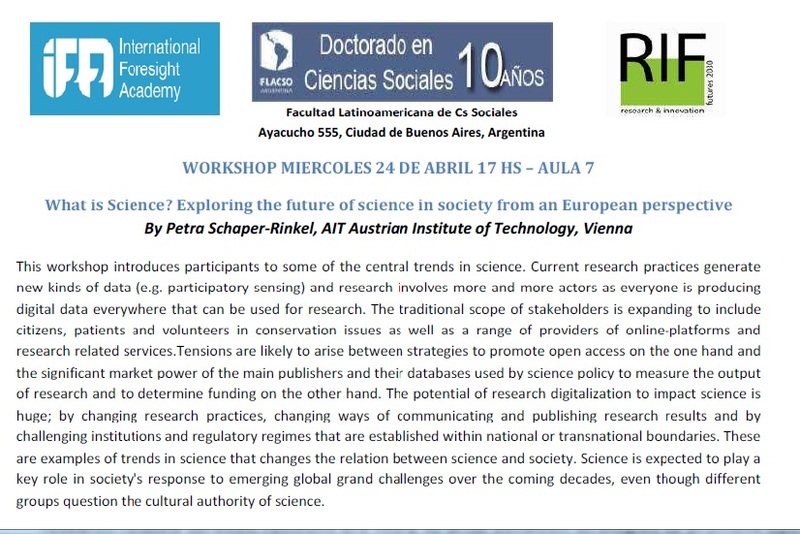 These are examples of trends in science that changes the relation between science and society. Science is expected to play a key role in society’s response to emerging global grand challenges over the coming decades, even though different groups question the cultural authority of science.